Little Dude has always been interested in cooking. So, when he isn't pretend cooking, and when I have a lot of patience, we cook together! With toddlers and preschoolers, the simpler the recipe is, the better experience you'll have cooking. They really don't like to wait around too long, and want to be completely involved in the process. 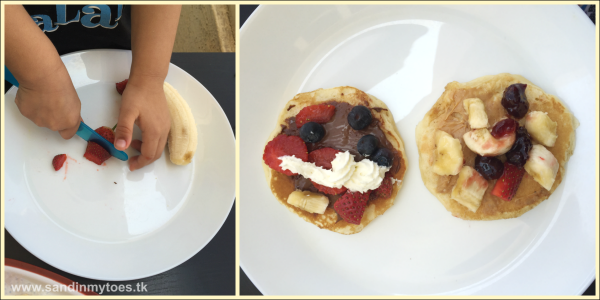 These Pancake Sandwiches are actually a fun way to present pancakes, and kids can experiment will so many fillings. 1. 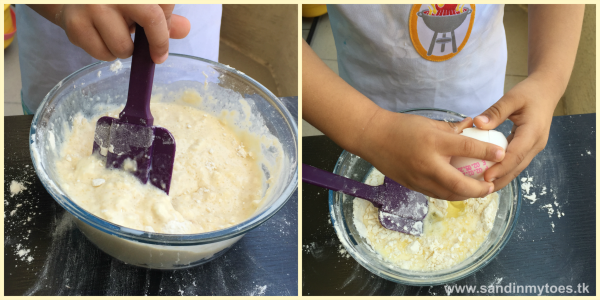 In a bowl, add the flour, sugar, salt, and baking powder. Mix well. 2. Add the melted butter, milk at room temperature, vanilla essence, and egg. 3. Combine slowly. It doesn't have to be very smooth. 4. Let sit for 10 to 15 minutes. 5. Grease a frying pan with butter. On medium heat, add about 3 to 4 tablespoons on batter at a time to make mini pancakes. 6. Get creative with the fillings! Little Dude cut the strawberries and bananas. 7. For one sandwich, we lined a pancake with Nutella and topped it with strawberries and blueberries. Then we added a dollop of whipped cream. 8. 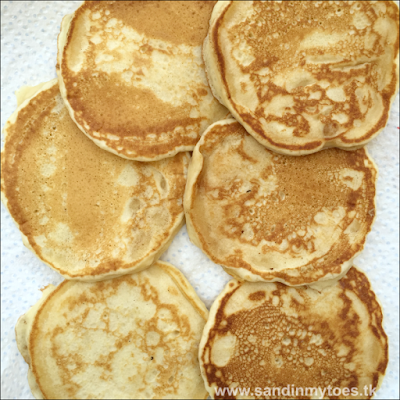 Add another pancake on top to make the 'sandwich' and drizzle lightly with maple syrup. 9. For the other sandwich, we lined a pancake with peanut butter and topped it with chopped banana and cherry jam. Then we put another pancake on top and drizzled maple syrup. 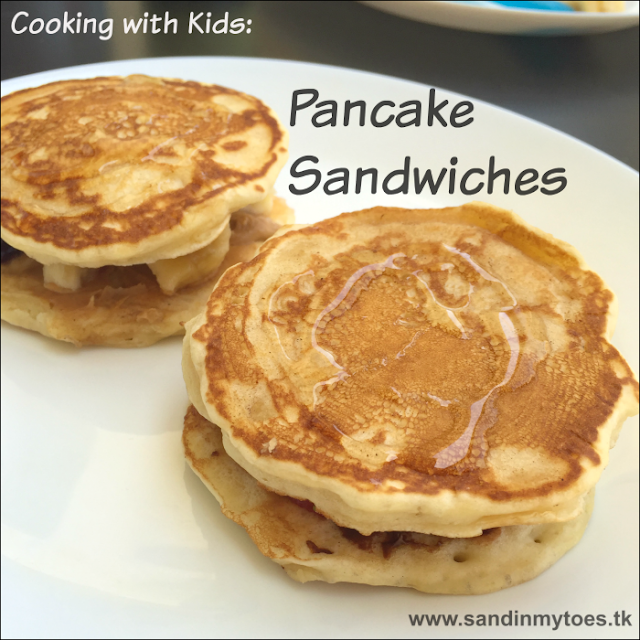 This is one of our favourite breakfasts that we like to make on weekends! 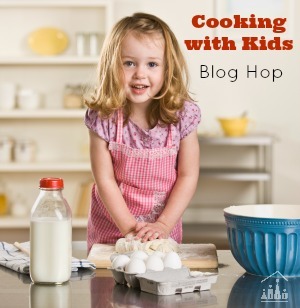 This post is part of the Cooking with Kids Blog Hop at the Crafty Kids at Home blog. Head on to over to see more kid-friendly recipes.